Reporter Ken Ward Jr. covers coal mining and other workplace and environmental issues for The Charleston Gazette (W.Va.). CHARLESTON, W.Va. — Evidence from the Upper Big Branch Mine Disaster investigation shows not only that black lung is back, but also one reason the deadly disease is again on the rise. Falsification of the dust sampling used to enforce federal black lung protections was common at Upper Big Branch, according to miners who worked at the Massey Energy operation. To measure coal dust that causes black lung, some miners wear sampling devices commonly called dust pumps. In order to ensure accurate monitoring, it’s important that miners work in the same areas and do the same jobs they would normally do when not wearing the pumps. But Mike Kimblinger, a construction foreman who worked at Upper Big Branch for more than 14 years, told federal and state investigators that wasn’t the way it worked. “I was told to stay away from the dust and not do certain things while I was wearing the dust pump,” Kimblinger said in sworn testimony. He said such instructions to miners were common at Upper Big Branch, and were given by top mine managers. 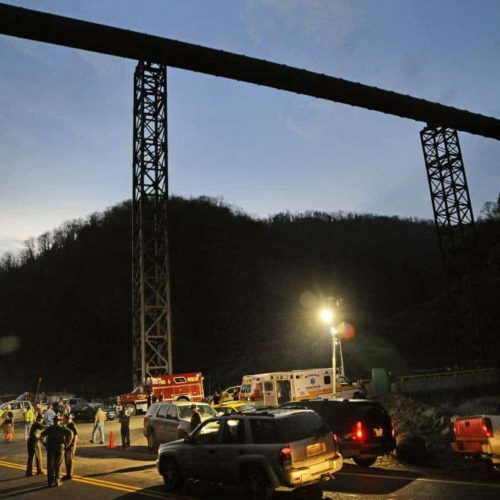 Former MSHA chief Davitt McAteer led a team of investigators who conducted an independent probe of the April 5, 2010, explosion that killed 29 miners at Upper Big Branch. McAteer and his team obtained autopsy reports for the miners who died, and had a black lung expert examine them for evidence of the disease. Of the 24 victims with sufficient lung tissue for the analysis, 17 of them — or 71 percent — were found to have black lung. This compares to the national black lung rate among miners of 3.2 percent, and the West Virginia rate of 7.6 percent, the McAteer report noted. Mark Edwards, who ran a shuttle car at Upper Big Branch, told investigators the company cut back from two continuous miners to one such machine on days when workers were wearing dust pumps. “They didn’t care about coal that day,” Edwards testified. “Any other day, we’re running two miners. It was so dusty down there it was awful. Miner Bruce Vickers had worked at Upper Big Branch since 1995. When he would wear a dust pump, mine managers told him to sit in the mine’s fresh air intake tunnel, and let somebody else do his work, Vickers told investigators. “Well, if they can … keep me in the intake, in fresh air, then that’s what they’ll do,” Vickers said. Vickers said he testified in 1998 to a federal grand jury that asked him about dust pump falsification at Upper Big Branch. Court records and government documents don’t show any charges ever being brought.